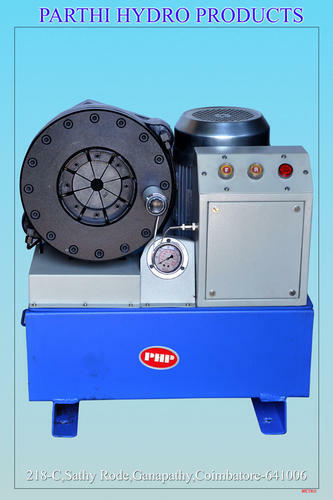 With enriched industrial experience and knowledge, we are providing an excellent range of Hose Cutting Machine. We Parthi Hydro Products, have uniquely positioned ourselves as the prominent manufacturer and export of an exceptional quality assortment of a Crimping Machine, etc. Incorporated in the year 2003, we Parthi Hydro Products, have uniquely positioned ourselves as the prominent manufacturer and exporter of an exceptional quality assortment of a Crimping Machine, etc.